Data in healthcare has seemingly gone from zero to 60 in a blink of an eye. Only a few years ago, most healthcare data was done on paper but now there is almost more data, coming from sources like EHRs and wearables and genomics, than the health systems themselves know what to do with. That is where a company like Health Catalyst comes in, helping healthcare providers gain better access to data, pinpoint where their problems are and then turn that data into actionable intelligence. On Thursday, Health Catalyst announced a Series F equity and debt funding round led by healthcare public and private market investment firm OrbiMed Advisors, along with existing investors including Sequoia Capital, Norwest Venture Partners, Sands Capital Ventures, UPMC Enterprises and Kaiser Permanente Ventures. Around $15 million of the round was in the form of equity, giving Health Catalyst a total of roughly $315 million in venture funding and a $1 billion valuation, positioning it as the latest "unicorn." This achievement, Dan Burton, CEO of Health Catalyst, told me in an interview, is just a "mile marker," though one that "insinuates that some of the things that we focused on are bearing fruit and are helping the company progress and realize success." "In no way are where we need to be from the perspective of accomplishing our mission. Our mission is to unleash data to enable massive improvement and real transformation in the healthcare ecosystem. We have a long way to go in achieving that mission and a lot of work to do," he said. "This helps us celebrate for a moment the work of the last 10 and a half years, and then quickly turn forward to work before us over the next 10 or 20 or 30 years and keep progressing on our journey." 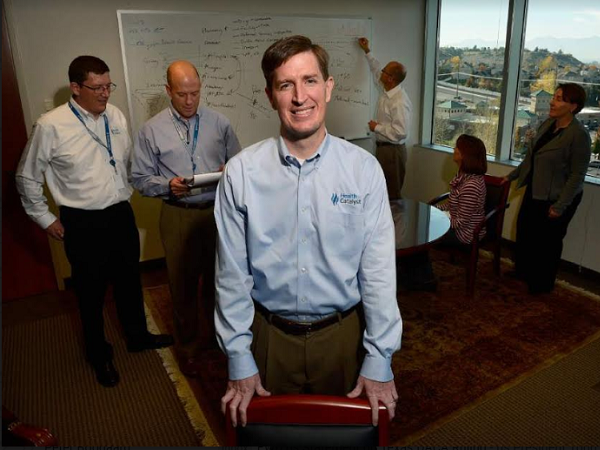 Founded in 2008, the Salt Lake City-based Health Catalyst creates software for hospitals manage their data processes. The platform pulls in data from a wide variety of sources, and then provides analytics and outcomes to help healthcare organizations improve the clinical, financial, and operational reporting and analysis needed for population health and accountable care. In the last year or so, the company has launched some clinical, financial and operational analytics application suites to help its clients take more action with the data Health Catalyst provides. 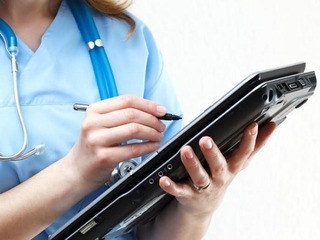 For example, it provides patient safety application suite that automates and uses technology to give a more accurate view of all the harm events that are occurring within a hospital setting. It also has a benchmarking suite, in which Health Catalyst uses AI to predict the greatest improvement opportunities relative to the amount of work it has taken to achieve that across its whole data, helping its clients prioritize projects. There is also an activity-based costing solution on the financial side, which enables health systems to get a more precise view of actually what the costs are on a given day for a given procedure with a given clinical team and patient. In addition to the increased capabilities, Health Catalyst has "dramatically increased" is investment in providing domain expertise. "When our clients use our data platform, and those analytics applications, to pinpoint specific opportunities for improvement, clinically, financially, operationally, they’ve come to us for many years and said, 'We want more than that, we want you to help us actually measurably improve.' So, we have a professional services organization that’s grown from zero four years ago to a large business with hundreds of domain experts now that we offer to our clients to really help them achieve measurable improvements," said Burton. Most importantly, the company is going deeper into artificial intelligence and machine learning to automate how its data is distributed, particularly though AI packages that are offered to its clients, such as Healthcare.ai, so they can build their own artificial intelligence capabilities. "We believe AI can benefit the entire industry and it should be largely available for an infrastructural perspective via more of an open architecture and open source approach. Our data platform is open so you can build on top of platform and access the data that you need. AI is really only as good as the robustness of the data set that you use to train the algorithms. That’s a huge challenge in healthcare that, even up until a few years ago, there was so little data available electronically or digitally. Now there’s an explosion and we’ve tried to make sense of a growing array of digital data in the data platform and then keep it open and make it accessible so that our clients can build on top of that data platform, build there own AI infrastructure and that we can accelerate that," said Burton. Health Catalyst currently pulls data from hundreds of different data sources and it reaches over 100 million patients. In 2018, the company saw 65 percent growth in its annual recurring revenue, over 50 percent growth in revenues, and over 80 percent growth in its gross profits. The company plans to use the new funding to continue expanding its technology and services offerings. "On the technology side, we think it’s critically important for us to continuously invest in that data platform including investing in the addition and automation of more and more data sources. So the robustness of the data set becomes more significant over time. There is an explosion in the amount of digital data that could be available to be analyzed, so we need to continuously invest, to always be adding those data sources and always adding capabilities that make it easy for the entire ecosystem to leverage the power of that data to improve clinical outcomes, financially and operationally as well," said Burton. That also means getting better at recognizing patterns, to help health systems to solve their problems, and to better understand which types of domain experts its clients would find most helpful as they’re pursuing these improvements. When asked if the company's new valuation meant a possible IPO, Burton would only say that that will not be his main focus going foward. "My job as the CEO, and our job as the leadership team, is to continue to build Heath Catalyst into a strong, sustainable, scalable company. My job is not to decide whether to go public, that’s the decision of the board, so our leadership team is staying focused on trying to build a company that is mission driven and is focused on achieving that mission which requires us to continue to scale and be sustainable. That’s where we’re focused," he rold me. Rather, Health Catalyst will continue its evolution toward making data more accessible, as Burton sees it as being a "transformational catalyst for healthcare." He sees Health Catalyst as playing a part in making that transformation happen going forward. "Until a few years ago, much of the data about you as a patient was still paper based, so, as this industry transforms from paper to digital, there is a tremendous opportunity and a moral obligation for us to use that data in a much more effective way to improve the health of the world. That’s an ambitious and a hard and a complicated long-term objective but a very meaningful one," he said. "At our best, we play a small part in that overarching transformative experience that I believe will take the next 10 or 20 years in the entire global ecosystem. If we can contribute to the use more pervasively of that digital data, to make make much better decisions clinically, much better decisions financially and operationally, then we will have played that important role and fulfilled our mission."